James Brown is shouting and screaming from the loudspeakers. People have gathered in front of the record store in Ethiopia's capital Addis Ababa, and they are completely transfixed. When the day is over, all the records have been sold. In the 1960s, a visionary imported records from all over the world and produced Ethiopian music, even though it was forbidden by the government. The groovy, beat-driven soul-jazz music made its way into the listeners' ears and hypnotised them. 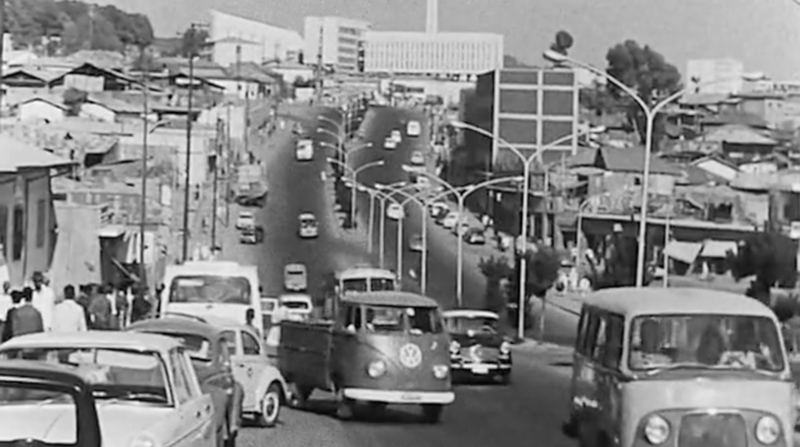 The film shows how people danced in the streets until the day when a coup threw the country into civil war, and musicians were forced to escape from Ethiopia along with their music. One of these records fell into the hands of a music enthusiast who gave the genre a bustling afterlife with the critically acclaimed 32-record album series 'Ethiopiques'. "It was the first modern vinyl from Ethiopia."